Welcome to the Mechanical Subcamp, one of the 10-14 subcamps. We are the sum of the potential energy and kinetic energy and are always on the move! Many devices you see today use Mechanical energy such as a steam engine which converts heat into mechanical energy to move to wind turbines where generator converts mechanical energy into electrical. 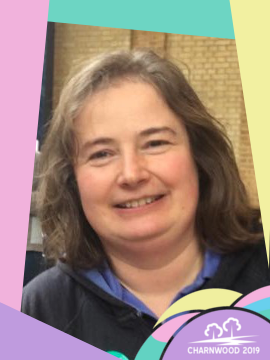 My name is Fiona Clarkson and I am Girlguiding Leicestershire’s Guide and Senior Section Residential advisor and also a Brownie Leader in Kibworth. I have the honour of attending every Charnwood where I have carried out a number of different roles including participant, group leader, newspaper journalist and I was a Camp Warden at Charnwood 2016. 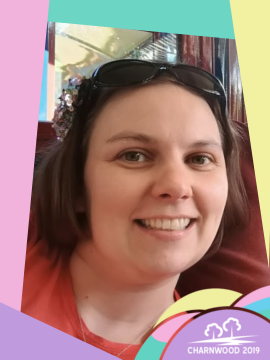 I have experience of camping at a large variety of events in the UK and abroad and love spending time in a field with my friends, Since Charnwood 2016 I have attended Spejdernes Lejr international Camp in Denmark and walked the Great Wall of China with Girlguiding UK. 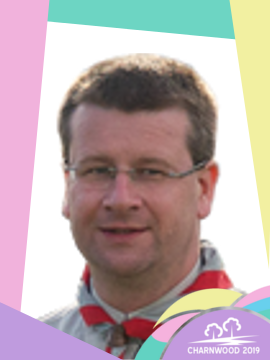 I look forward to being a Subcamp Leader at Charnwood 2019 and making many more friends. I joined Guiding as a Brownie up in Cheshire and progressed to Guides then became a You Leader and then a Leader. I have been involved in Guiding and Scouting in leadership roles for over 15 years. Starting as a Brownie Guider in Loughborough, moving on to Kettering and then Market Harborough, including a brief term as District Commissioner. I joined the District Scout Executive for 2 years. My current main role is as Chair of SAGGA, the largest national Scout Active Support Unit. This will be my 4th Charnwood, and second as a Subcamp leader.